“Similar to smoking, where damage to cells builds up over time and increases the risk of cancer, damage from carrying excess weight accumulates over a person’s lifetime." The charity’s projections show kidney cancer cases climbing by a further 26% by 2035, which would make it one of the fastest growing types of cancer. Although this is an observational study, confidence in the link is improved by its consistency with existing knowledge and research on the benefits of physical activity and the graded response in the results. STRIVE is a longitudinal, prospective, observational study that will enroll up to 120,000 women at the time of their screening mammogram to train and validate a blood test to detect breast cancer. Additionally, the study will be used to develop a pan-cancer test to detect multiple cancers at early stages. To mimic the interactions between metastatic breast cancer cells and bone cells in a living system in the lab, Zhang and his colleagues developed a bone metastasis model, called bone-in culture array, by fragmenting mouse bones that already contain breast cancer cells. Some of the research that’s taken place since CRISPR burst onto the scene has also raised more questions than answers. The immune system is a powerful and complicated machine, and we don’t yet understand how to control it. XBiotech's efforts to shade Xilonix's clinical failings amounted to little more than hand waving when it mattered most. European regulators at the oral explanation meeting on Thursday were not fooled. The EMA’s Committee for Medicinal Products for Human Use — the CHMP — put together an informal trend vote on the biotech’s application for Xilonix as a new drug for colorectal cancer, providing a hard signal the formal vote will go against XBiotech after concluding the biotech has no data to prove that the drug works. "Were a rapid resolution on the future location of the EMA not to materialize, or if the future seat of the European Medicines Agency were to fail in terms of establishing its minimum prerequisites, the quality of its work and the future of the European Medicines Regulatory Network would be placed in jeopardy." The Marketing Authorization Application (MAA) for BESPONSA was based on results from the Phase 3 INO-VATE 1022 trial, which enrolled 326 adult patients with relapsed or refractory B-cell ALL, and compared BESPONSA to standard of care chemotherapy. CHMP opinion based on tumor response rate and duration of response demonstrated in Phase 2 CheckMate -275 trial. 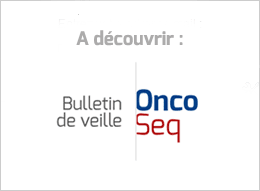 The CHMP adopted an extension to an existing indication as follows: "Bevacizumab, in combination with carboplatin and gemcitabine or in combination with carboplatin and paclitaxel, is indicated for treatment of adult patients with first recurrence of platinum-sensitive epithelial ovarian, fallopian tube or primary peritoneal cancer who have not received prior therapy with bevacizumab or other VEGF inhibitors or VEGF receptor–targeted agents". Bristol-Myers Squibb’s UK General Manager Ben Hickey has slammed NICE over its assessment criteria and process in recommending access to life-saving treatments on the NHS, claiming the UK is falling behind its neighbours in Europe. This doctor got it — a history of not just racial discrimination, but human rights violations. And that was an answer I could trust. Researchers have produced over 20 tons of those cells — called “HeLa cells” after her name — facilitating the development of new drugs and vaccines, aiding many millions of patients and earning biotech and pharmaceutical companies hundreds of millions of dollars in profits.